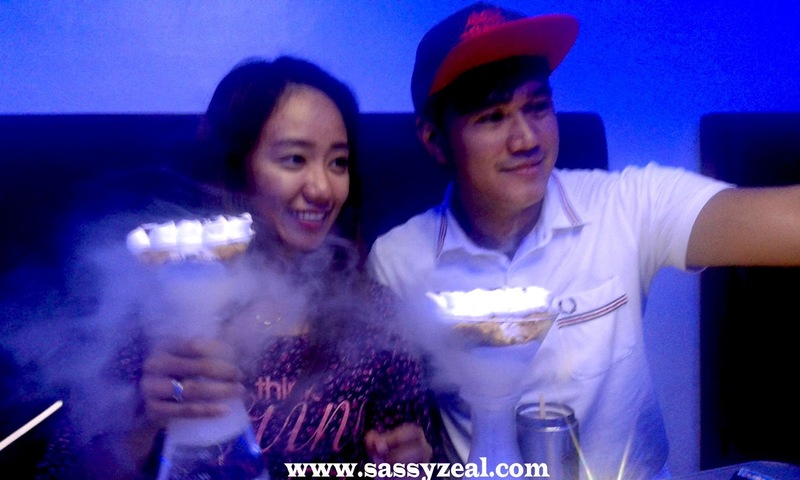 Sassyzeal: Ice cream + chemistry = ISCREAMIST FUN - New way to enjoy your favorite Ice Cream!! 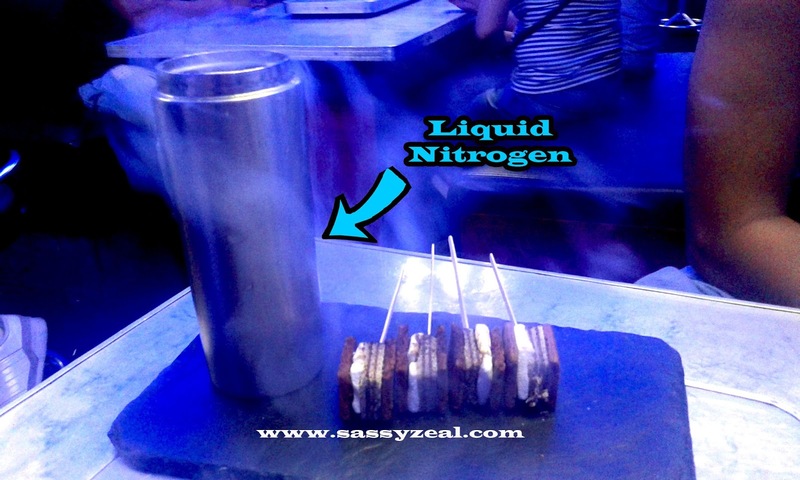 Ice cream + chemistry = ISCREAMIST FUN - New way to enjoy your favorite Ice Cream!! 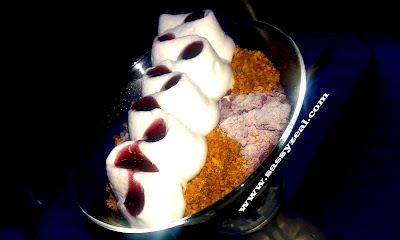 Craving for ice cream? How about trying a new experience while enjoying your favorite ice cream flavor? This summer season, the extreme heat of weather is killing us (yes sometimes literally) and the fun we should be enjoying. To the extent of reaching 41 degrees Celsius weather heat, we thirst for a freezing cold feeling. Seeing this video would make you want to run to this place for the foggy cool ambiance. 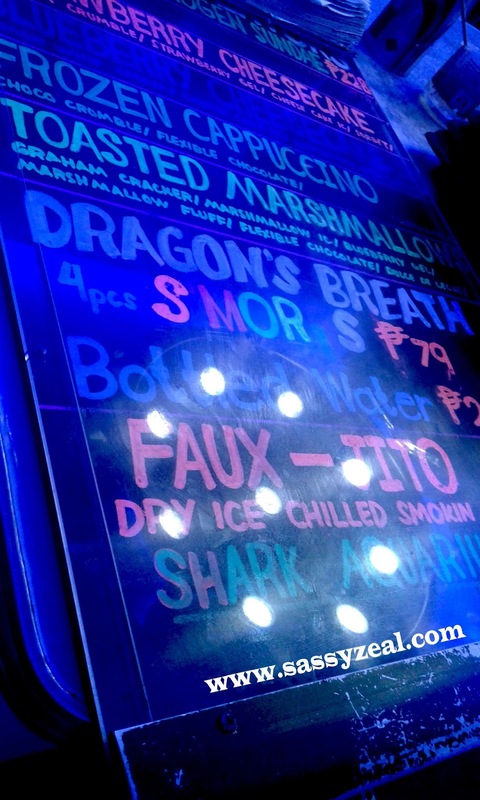 This isn’t the cold fog you felt when you were in Baguio! This is actually the fruit of science. Yes Science! 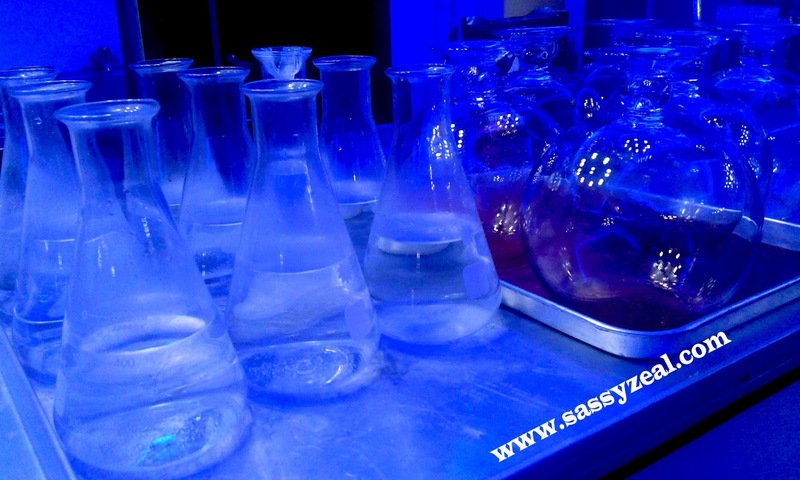 Wonder why high schoolers enjoy science? Now you will understand. 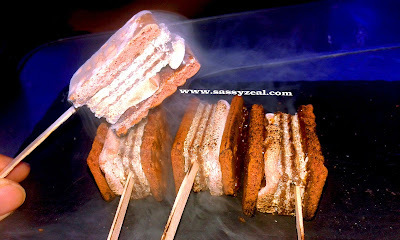 Creative business owner incorporated food science and food art to create a desert hub that will surely click! 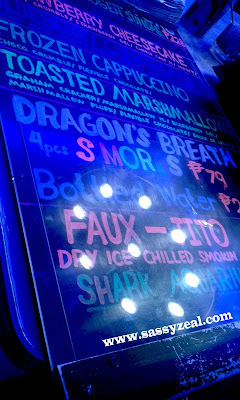 This Desert Hub along the famous Maginhawa Street is one of the people’s favorite hang-out. They serve Ice Cream with Liquid Nitrogen. They use flash freezing technology. 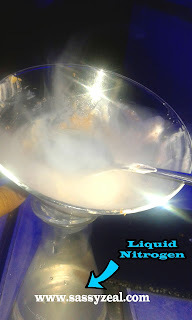 Liquid Nitrogen is extremely low temperature. It is colorless clear liquid produces this foggy cool gas. 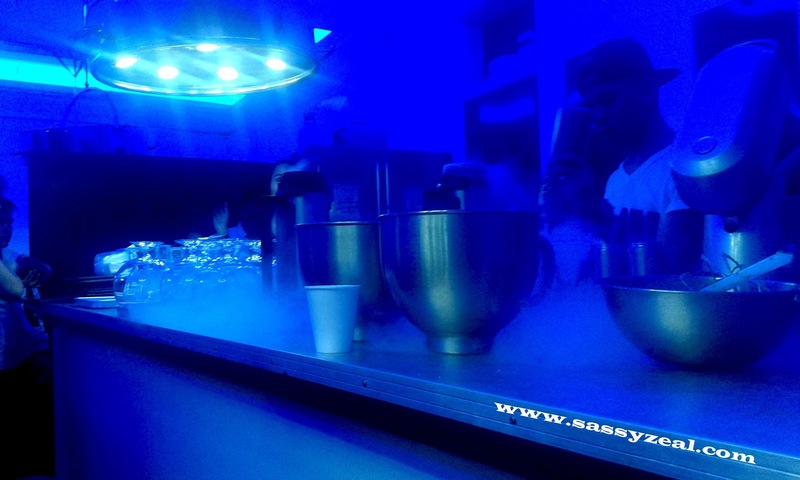 This desert hub called Iscreamist serves desert with liquid nitrogen. 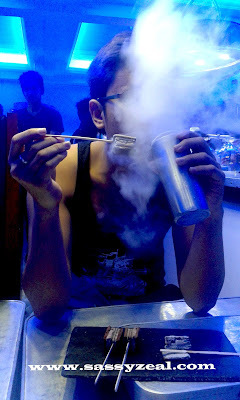 They call their most popular desert as Dragon’s breath which when you put on your mouth you will then blow smoky but cold air. Isn’t it cool? 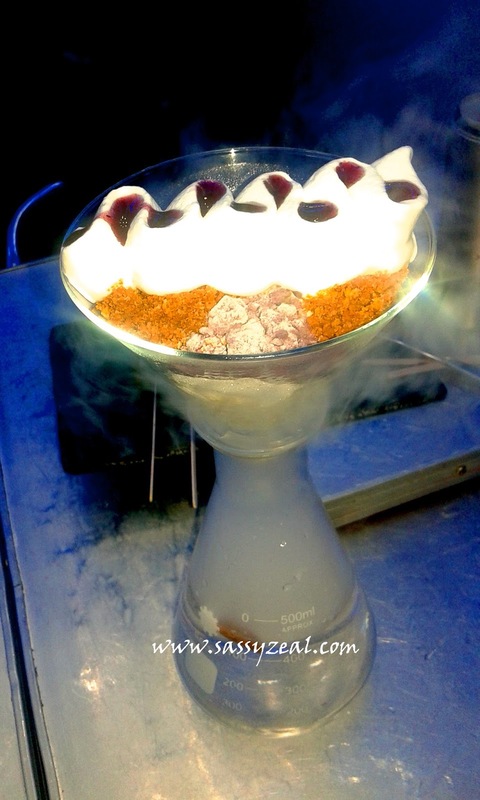 Borrowing there laboratory equipment like flask and cylinder and science "laboratory like ambiance" transformed them into cool dessert containers and contributes into a new dessert experience. Wow!!! This stainless one below contains Liquid Nitrogen and beside it are four S'mores to dip into the Liquid Nitrogen before eating. 46D magiting Street Teacher's Village Quezon City Philippines.